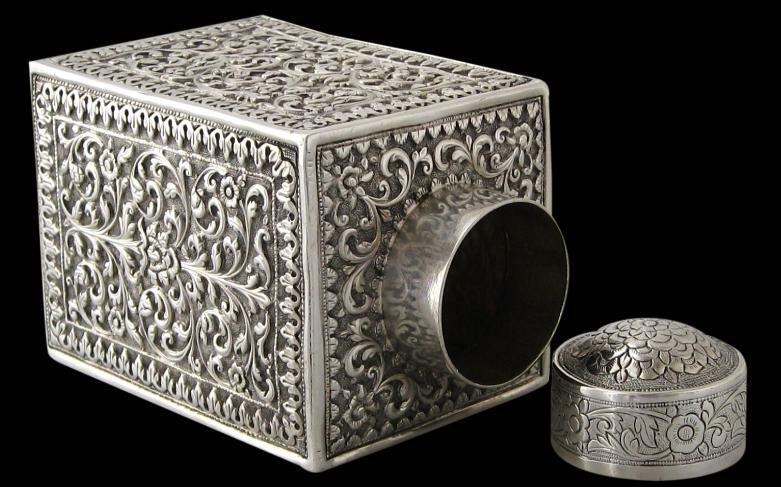 This extremely finely chased box-like tea caddy with a tight-fitting domed lid is of higher than sterling grade silver. 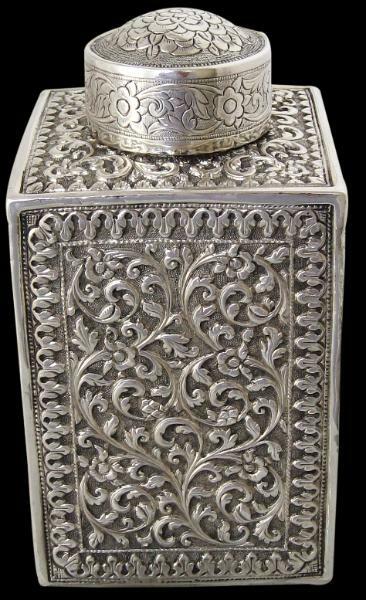 It is decorated on all sides and on top with panels of scrolling foliage and flowers, typical of the very best of late nineteenth century Kutch silversmithing work. 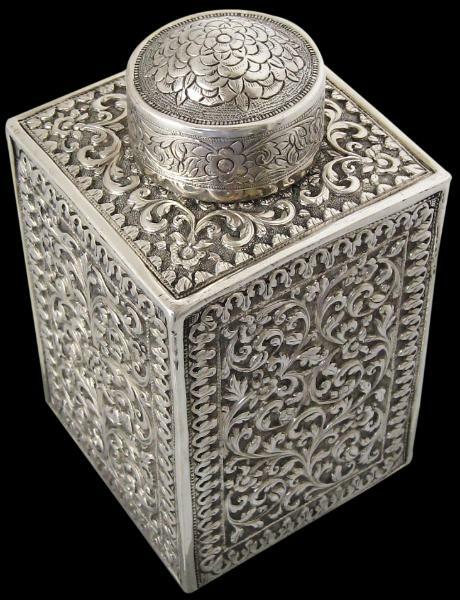 The lid or cap is finely engraved around the sides with scrolling flowers and the top is engraved and repoussed with a multi-petalled flower motif. 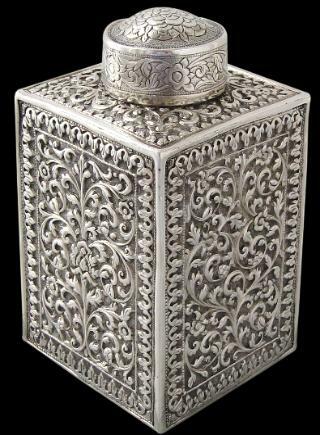 The condition is excellent – there are no dents, splits or repairs. 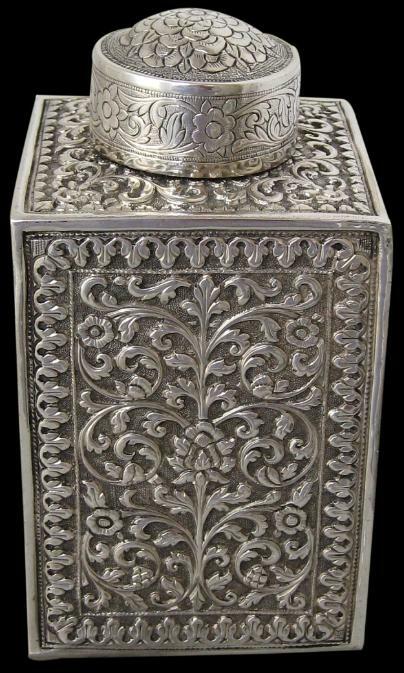 A very similar but smaller caddy is illustrated in Wilkinson (199, p. 93). 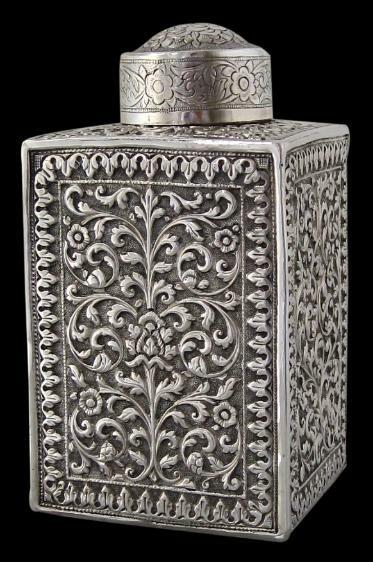 Wilkinson, W.R.T., Indian Silver 1858-1947, 1999.